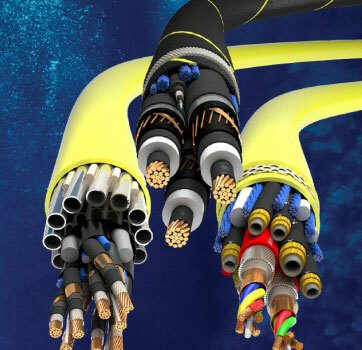 Group TELE-FONIKA Kable, a global producer of wires and cables, has announced that regulatory approval for its acquisition of JDR Cable Systems (Holdings) Ltd., a supplier of subsea umbilicals and power cables to the offshore energy industry, has been granted. The completion, which is expected within a week pending final legal and administrative proceedings, comes as JDR introduces its new Chief Executive Officer, Richard Turner. Turner joined JDR as Chief Operating Officer in 2014 to lead the global manufacturing, project management and supply chain functions. He came with a background of senior management positions at Komatsu, Terex and Technip and holds mechanical engineering and MBA degrees. Turner will head the JDR leadership team alongside the company’s longstanding Chief Technology Officer, James Young. Both will join the JDR board along with TFKable Group’s board of directors. Having led JDR through a significant period of growth and restructure to position JDR for its next steps under new ownership, David Currie, JDR’s current CEO, and Ivan Coyard, currently Chief Financial Officer, will be taking up new roles as Executive Advisers to the new JDR Board. The companies’ collective strength will provide opportunities for value creation and dynamic growth in international markets. The combination of know-how and experience will allow TFKable Group to provide its clients with even better, more reliable and innovative solutions, while JDR’s clients and partners will benefit from TFKable Group’s global scale and strong financial backing, providing a firm platform for growth. Monika Cupiał-Zgryzek, CEO of TFKable Group, adds, “Acquiring JDR is an important step in building sustainable competitive advantage. It increases our production capacity and will allow us to further develop and leverage JDR’s cable systems and umbilicals. It builds a greater presence in particular global markets, such as offshore wind. TFKable Group adds JDR’s two UK production sites in Hartlepool and Littleport to its existing six in Poland, Ukraine and Serbia. The Group also gains JDR’s other UK offices and adds overseas sales and service units in the US, Brazil, Germany and Singapore. As a result of the acquisition, TFKable Group, will employ nearly 4,000 people worldwide.